New Delhi : An app for smartphone Truecaller has launches the new version of it's iOS app for iphone users, which helps you identify a number in an instant. this updated version also introduces optimizations for the iPhone 6 and 6 Plus. 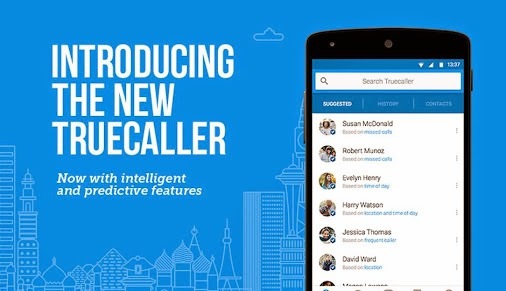 The latest update brings an entirely new design to the free Truecaller app and adds the new feature ‘Truecaller Widget Search’ that focuses on convenience and simplifies the process of looking up a missed call. Truecaller is home to more than 100 million users globally, out of which more than half are based out of India alone, who use the service to identify unknown numbers, block unwanted calls, and find the contact information for people and businesses they want to connect with. “We want to streamline and personalize the experience for our users as much as possible and a smarter design was essential to improving the experience,” said Alan Mamedi, co-founder and CEO of Truecaller. “This is the next big step we’re taking to increase the utility of our app, while helping the iOS community save time with tools they need to identify unknown numbers. He said. "We think the new Truecaller will improve the way millions of people use the service every day, and based on some of the great feedback we’ve had so far, we’re confident that we’re moving in the right direction toward our next 100 million users.” he added. The newly designed Truecaller update is available for free download on the Apple App store. The Truecaller app is also available for other devices on Google Play, Windows Phone, BlackBerry and Nokia feature phones. Additionally, the free Truedialer app is available on Android and Windows Phone.